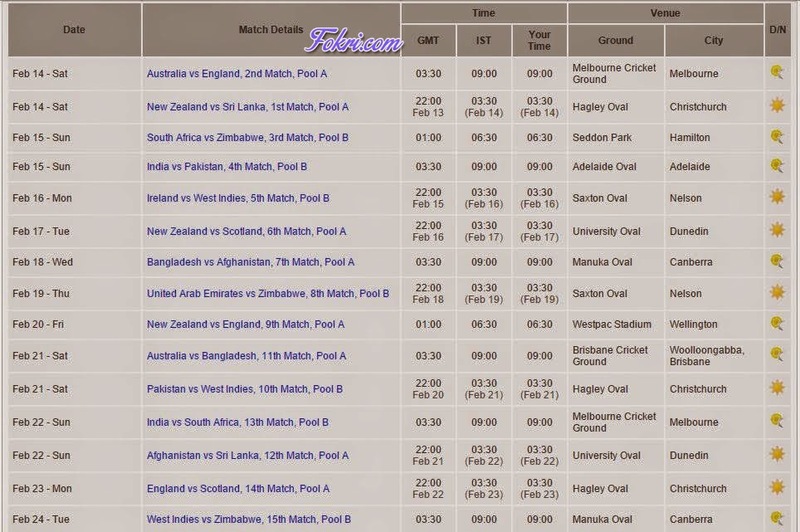 Really hoping there are people here watching the ICC Cricket World Cup. At any rate, it deserves a thread. This thread may be used to post news, pictures, anecdotes and discussion related to individual matches, players, teams. I know NOTHING of cricket, but I'll take jolly ole' England to win. He is a fast bowler who is 7' 1" tall. The ball release probably happens above the 8 feet mark. Yesterday he managed to bowl a yorker to wicket-keeper. Meet Mohammad Irfan of Pakistan. He could be a nightmare on bouncy pitches, which it seems the Oval was not in yesterday's match with India. Just in. Ireland bt West Indies. Chasing 305 for a win, they make it with 4 overs to spare. Earlier Windies recover from 87/5. NZ take on Scotland today. Both lovely countries. edit NZ bt Scotland in a low scoring match. Poor batting by NZ. They almost managed to lose the game. BTW, NZ are rated the underdogs. One of these two methods should work to load that pic above of Irfan. 1) Right click on image icon placeholder and reload the pic (in place). 2) Copy paste the image url to a new browser tab/window. 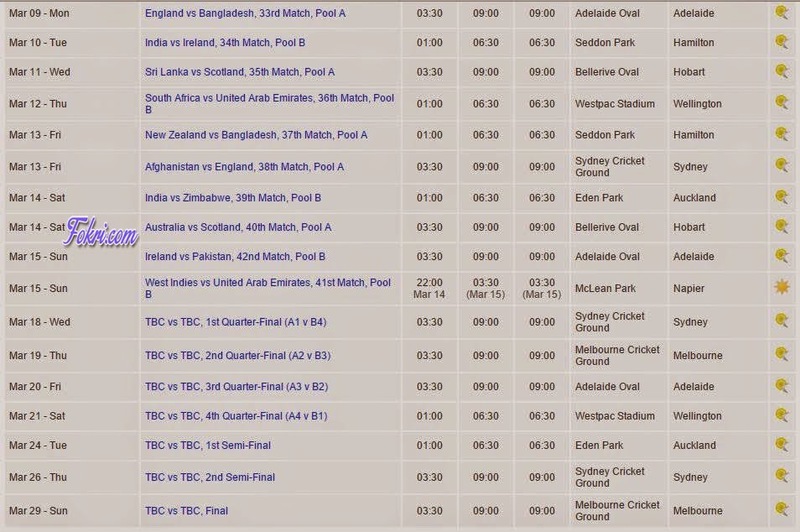 England's next match is on 20th vs NZ. Save your energy for the big day. Tim Southee bags '5' wickets. Brendon McCullum scores fastest 50. 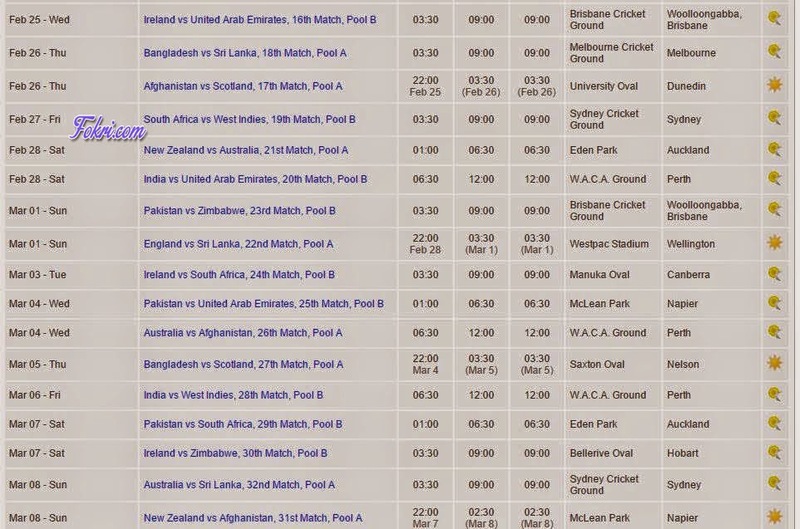 After some thought I've chosen West Indies as my favourite to win the cup. Primarily because of captain (Sammy) who plays his heart out every match and a real gentleman and sportsman. 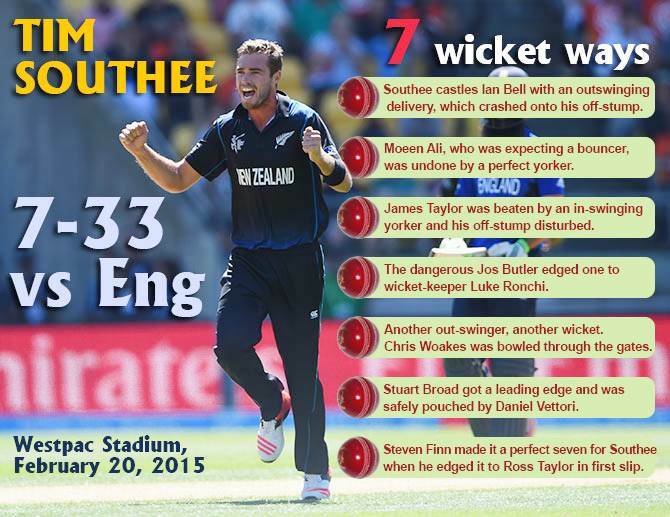 Correction: Southee's haul was '7' wickets.